Our orthotic inserts are made by hand in our laboratory. We offer custom as well as semi-custom orthotics. Many customers suffer from pain related to diabetes, arthritis, nueromas, plantar fasciitis or other disorders which we can modify the orthotics to. 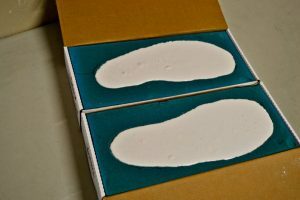 For special cases, we offer our handmade custom orthotics made from a mold cast of your foot. We can modify and adjust them in any way that is necessary. Walk-ins are welcome but we suggest you call or make an appointment to allow us to better serve you. 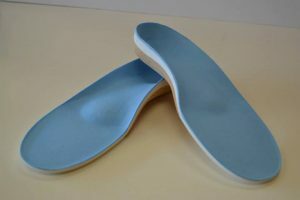 Pre-fabricated orthotics that are as close to custom as possible. They can be adjusted to fit you individual needs. Minor adjusts are free of charge. The most revolutionary digital foot scanning technology ever developed. Incorporating state-of-the-art digital scanners and pressure sensors, iStep accurately measures your foot size and determines your arch type and pressure points in less than 30 seconds. 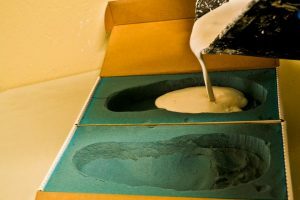 The orthotics will take the shape of your foot with your body and pressure. Provides more support and stability. Offloads pressure off of the ball of your foot.